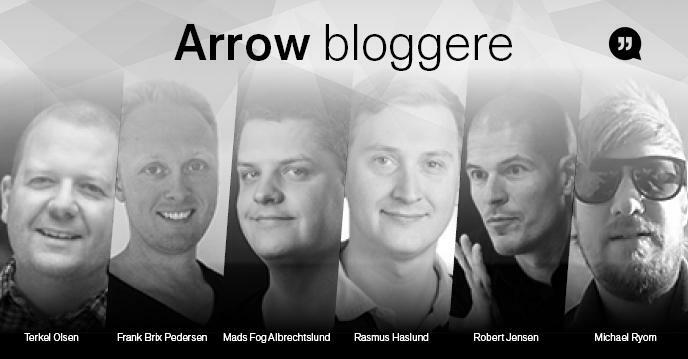 Jeg var ligesom resten af Arrow Blogger boardet inviteret til at snakke om forventninger til VMworld 2017, jeg havde dog ikke desværre ikke mulighed for at deltage, men Michael Ryom, Rasmus Haslund og Frank Brix har lavet en podcast. I denne podcast kan du høre lidt om hvad du skal huske inden du tager afsted, hvad du bør se og hvor du bør være med. I denne podcast er Liselotte Foverskov også med og lærer de andre tre nogle gloser i Catalansk, førend det går løs i Barcelona. Denne podcast er tilgængelig via iTunes og Arrows Blogger Board RSS feed. Vi fra boa rdet takker Arrow og Karina Søndergaard Nielsen som har stablet dette på benene for at hjælpe de danske deltagere i Barcelona. Jeg selv deltog i USA så tager ikke til Barcelona, men god tur til alle jer der skal afsted. So it’s this time of the year again, and there’s a lot of buzz around the virtualization community because of the two upcoming VMworlds, the US one in Las Vegas starting august 26th, and the European version in Barcelona, starting september 11. This year the EU one has moved forward from the usual week 42 spot. Which at least for northern Europe is a big plus, as week 42 usually is a fall holiday. When going to VMworld there’s a couple of options for planning your week. I used to spend a lot of time in the Hands on Labs, but since these has been available afterwards the buzz about these has gone away. The main problem about this though is that getting the time to actually do the labs when you get home, usually is a problem. So if possible, do schedule a few hours for the Hands on Labs. There’s of course also a lot of sessions to attend, and again in my first few VMworld I had a fully booked schedule, which leaves you running around a lot. Getting from one session to the next could have you walking more than a kilometer. My record was more than 30 km’s in one day (Vegas hotels are HUGE). This year I’m focusing more on meeting with people, I have been lucky enough to be able to get meetings with a few product managers of some of the cooler stuff VMware creates, and a such I think I’ve only scheduled 10 or so sessions. This also gives me ample room to wander the Solutions Exchange talking both with big vendors but also a lot of small new startups are present, and there are usually a few really cool ones, that you can see and demo. Especially coming from Europe there are a quite a few companies that seems to be US only. Around both conferences there are a lot of happenings, all from morning breakfast meetings, to late night parties, and again these are excellent places to meet new and interesting people from the community. Most of the “superstars” of the community are usually attending some of these and they easily approachable. Don’t be afraid to walk up and say hi. People like Duncan Epping, Frank Denneman, Cormac Hogan and Rawlinson Rivera are really down to earth and easy to talk to. There will be a ton of blogs covering all the new and fancy things that are presented at VMworld, so I’m thinking I’ll do another round of T-shirt reviews this year. One of the best #vExpert gifts there is. That is really something to live by. Never stop learning and growing and you will be even more successful both at work and privately. Always seek ways to expand your mind and you will be forever better. So thank you very much PluralSight for this amazing gift! Wow, I’ve been selected as one of the top bloggers in Denmark, along with quite a lot of my own technical heroes in Denmark. Namely the Arrow ECS Blogger Board. I’m very honored to be considered one of the bloggers that gives information back to the community, even though my blog posts aren’t often that technical as the rest of this blogger board. All 6 of the selected people are also designated vExperts, so its a really nice selection of people. The board consist of people like Mads Fog Albrechtlund, one of Denmark’s leading VRO/VRA specialists, who works at Proact. Michael Ryom also works at Proact as an ESXi and vRealize specialist. There’s also the Party Duo Frank Brix and Rasmus Haslund, who works for Cohesity and Veeam, and the last member at the moment is Robert Jensen from VMware Denmark, who is the one of the new vExperts from Denmark in 2016. So I expect that this board of bloggers will post quite a few posts about VMware and virtualization in general. Today Frank Brix and myself was interviewed by Liselotte Foverskov from Arrow about our careers and community and VMware in general.